For me, a bag of dominoes conjures up memories of rainy afternoons during summer vacation when there was nothing better to do. Thankfully, Boneyard offers up gameplay that’s enjoyable and addicting, even while the sun is shining bright. 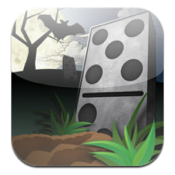 Boneyard was developed by Rebel Drone, and this app is their first offering for the iPhone, according to the App Store. 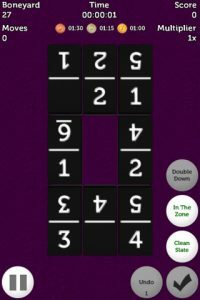 The game is one that markets itself as “easy to learn, hard to master,” much in the same way that apps like Lock N Roll are. 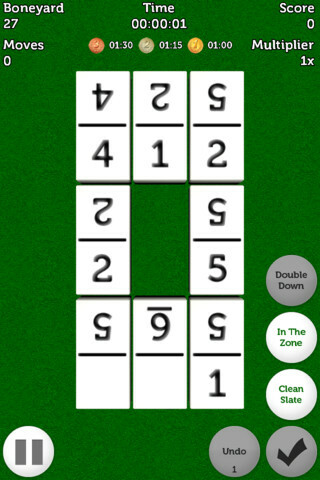 To play Boneyard, you match up tiles with the same numbers. 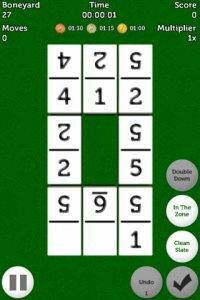 Keep on matching them until you clear the field, and boost your score with fast fingers and multipliers based on how many tiles you can clear at once. Now, it may not be the prettiest looking game on the App Store, but it’s still fun to play. 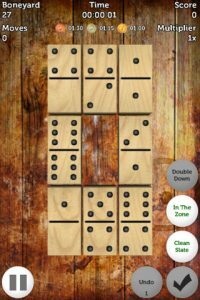 Part dominoes, part Mah Jong, and part sliding tile puzzle, Boneyard combines the best of all these classic diversions to create something new and complex. 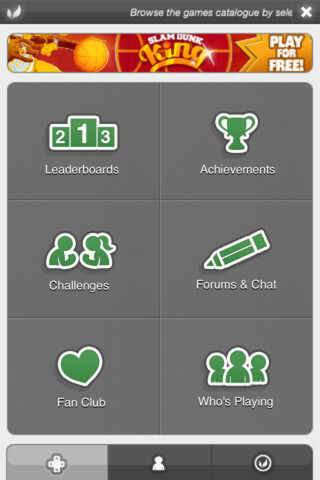 Boneyard also features OpenFeint integration, which provides achievements, leaderboards, and the ability for players to exchange challenges with their friends. Of course, if you’re not into the whole OpenFeint aspect, you can still enjoy solo gameplay without all the multiplayer bells and whistles. Bottom line: if you aren’t big on puzzles or domino-based games, Boneyard might not be your cup of tea. It takes some learning to master each move (sweeping, tapping, scoring, etc. ), and Boneyard isn’t a game that you can play brainlessly while doing something else. But if you like games that make you think, Boneyard will put your little grey cells to the test. Boneyard – Slide. Spin. Win. is compatible with iPhone 3GS, iPhone 4, iPhone 4S, iPod touch (3rd generation), iPod touch (4th generation) and iPad. Requires iOS 4.2 or later.